Web 3.0: Is this the End of the Digital World As We Know It? If my title has you humming the popular R.E.M. tune, then good. It seemed a fitting title to discuss the revolution that’s upon us. 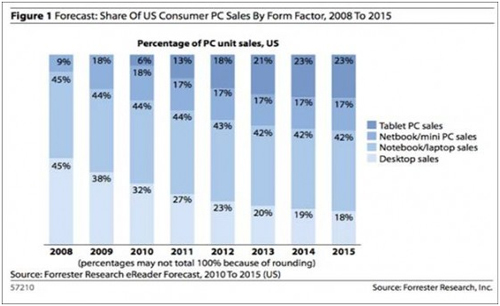 In a world where there is a PC in practically every household — half of American households have two or more PCs in the home (source: 2010 USC Annenberg Digital Future Study) — a major shift is occurring. We’re at the dawn of a new era of computing, in which tablet and mobile applications provide a more convenient and immersive user experience. Fact: Three million iPads were sold in the first 80 days of its launch. To date, no other technology or hardware device has experienced such rapid adoption. Fact: Forrester Research predicts tablet sales of 80 million units by 2015, while the folks at Goldman Sachs predict tablets will cannibalize one in three U.S. PC sales this year. That’s not all. Stephanie Baghdassarian, the Research Director at Gartner, estimates that by 2014 there will be a new $150 billion market for tablet applications. Such an emerging market, the size of both Microsoft and Apple revenues combined, equals a HUGE opportunity. The tablet era is earmarked not just by profound hardware sales and an increase in application sales, but more importantly by a complete shift in buying behavior and the user experience. The combination of convenience, more immersive app experiences, and greater device and data interoperability will drive a user experience revolution. I’ve talked about this since 2007, but it’s our industry’s story for 2011. If you’ve yet to jump on the tablet wagon — I say ‘yet’ because I predict in the next year you’ll be a tablet owner — it seems fitting to share why I believe the tablet has skyrocketed to rock stardom. For over a decade, we’ve worked to build an always-on, ubiquitous network. The tablet is the missing interface for using that network. This level of portability is causing a major shift in behavior. With the introduction of the iPhone, Apple designed an interface that is finger-centric, not mouse-centric. Scrolling, selecting and typing are all eloquently performed with a finger, adding to the overall experience and ease of use. Quite simply, tablets give you the ability to do an amazing amount whenever, wherever. For example, I recently attended the Online Marketing Summit in San Diego. My iPad rarely left my side. I checked in for my flight by showing my ticket via iPad. I rented and downloaded a movie ($4 for The Social Network) while I waited for my flight. I used the conference app to schedule and RSVP for conference sessions, and the GPS feature on my iPad to map the route to the hotel. With Hootsuite and Twitter almost always in reach, parties were located, bagels and lox were procured, and tweets of the best nuggets from conference sessions reached me, even while decompressing by the pool. Should I go on? In Japan in 2008, 17 percent of web pages were served on mobile devices. In 2010, that number rose to 84 percent. I use this stat because Japan is one of the earliest adopters of cellphone technology. While our “dumb” phones do nothing more than place calls and perhaps take pictures, most Japanese phones—called keitai in case you were curious—run apps and play video, even live TV. And Japan is much more advanced than the U.S. in fields like mobile payments. The breakthrough of tables is now bringing to US consumers what people elsewhere in the world have had for some time: the enjoyment of the mobile experience. Thanks to rich, mobile-friendly media and geolocation APIs, tablets deliver “active” information and a highly immersive experience. This level of usability, rich interactivity, and ease of use has already raised consumers’ expectations of their online experiences. That immersive experience is being driven by our lust for the app and the drive to get things done. The app-driven world, a.k.a. Web 3.0, is a more engaged experience that is ideally suited for tablet delivery. Beyond the iconic Facebook and Twitter, the next generation of applications will be “mashups” that combine functionalities and seek to empower users. For example, Loopt blends the love of social networking with location-based services. 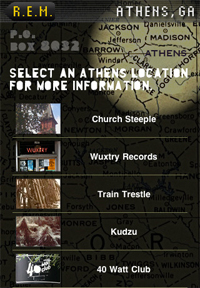 It detects not only where you are on the map, but also pinpoints mobile friends in the vicinity. 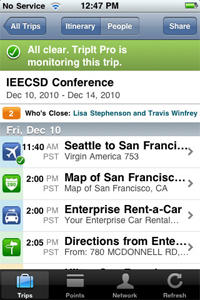 Tripit goes beyond the travel search engine to be your “personal, full-service travel assistant.” It compiles itineraries, from transportation to dinner dates, and adds weather reports, suggested local attractions and more. Openstreetmap is about people mapping everything worldwide from great hiking routes to ski runs and wine tours. 2010 is the last year in which mobile strategy could pass as a “junior version” of a corporate website. The page metaphor of web publishing is near the end of its usefulness. It’s being replaced by a more interactive mobile experience, and that will change how we work, market and consume media ourselves. This end of the digital world as we know it looks pretty useful. It’s about time. 3 Responses to "Web 3.0: Is this the End of the Digital World As We Know It?"